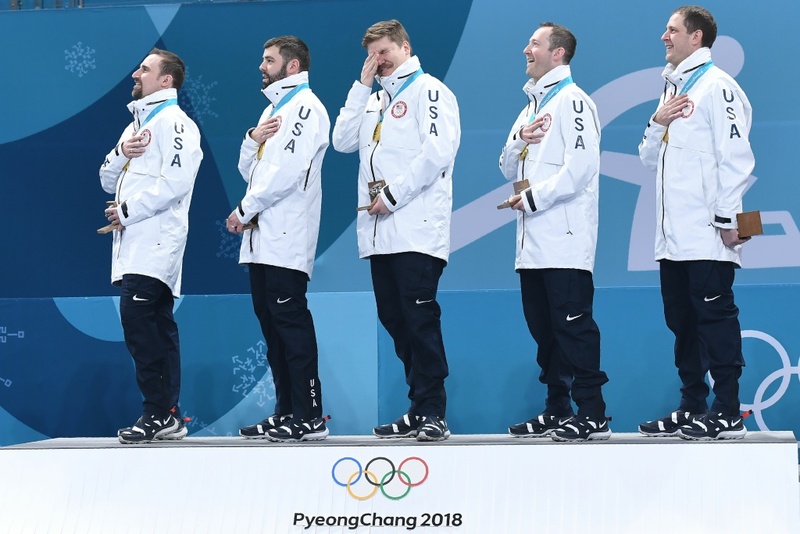 The U.S. men's curling team made history on Saturday at the Pyeongchang Winter Olympics, playing in — and winning — the first gold medal curling game ever to feature an American team. 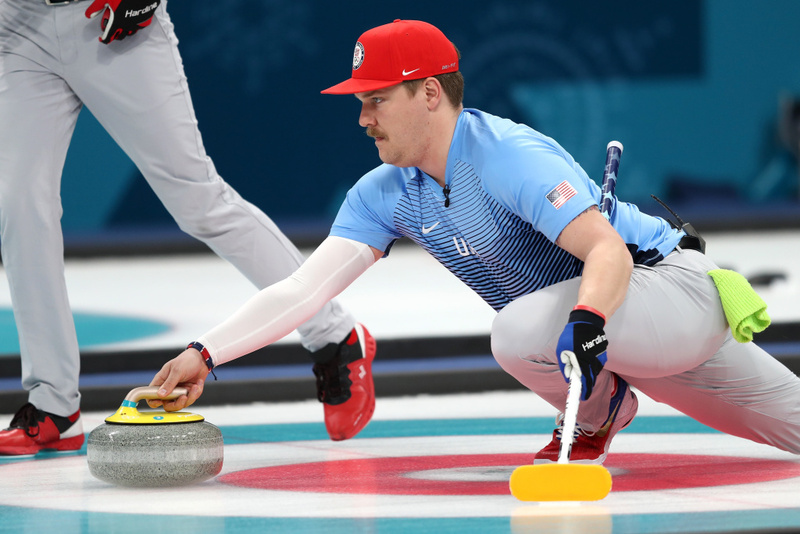 Led by John Shuster, the U.S. broke out late to upset Sweden, which had lost only two games in South Korea coming into the final. 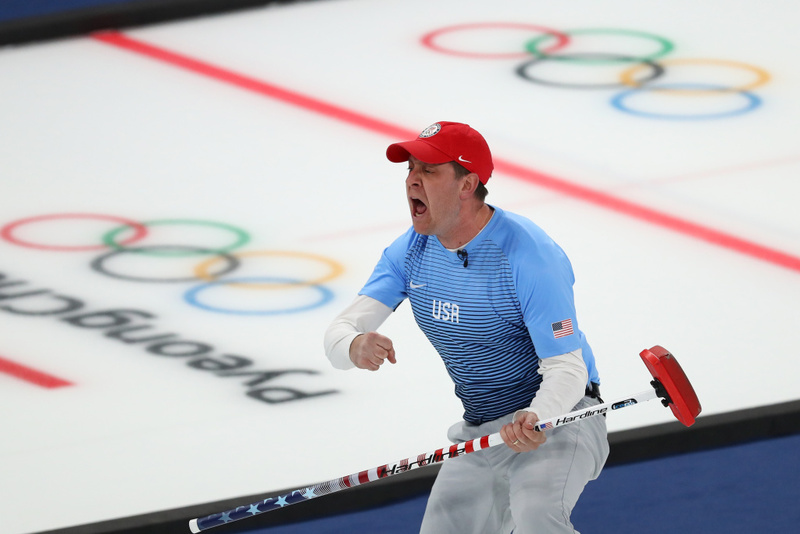 For the U.S., the gold medal win is all the more shocking because for a long stretch during the Olympic tournament, Shuster's team was constantly on the verge of elimination. But they fought their way back, dismissing curling powerhouse Canada to set up a date with Sweden. "We've played our best when our backs were up against the wall," U.S. vice Tyler George said after it was all over. 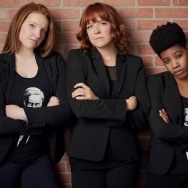 "We took it to another level this week. Usually we're fighting and scrapping to get into the playoffs but for five days we were the best team in the world and we did it at the right time." He added, "We always knew we had it in us, but to do it when it matters most is what I'm most proud of overall." 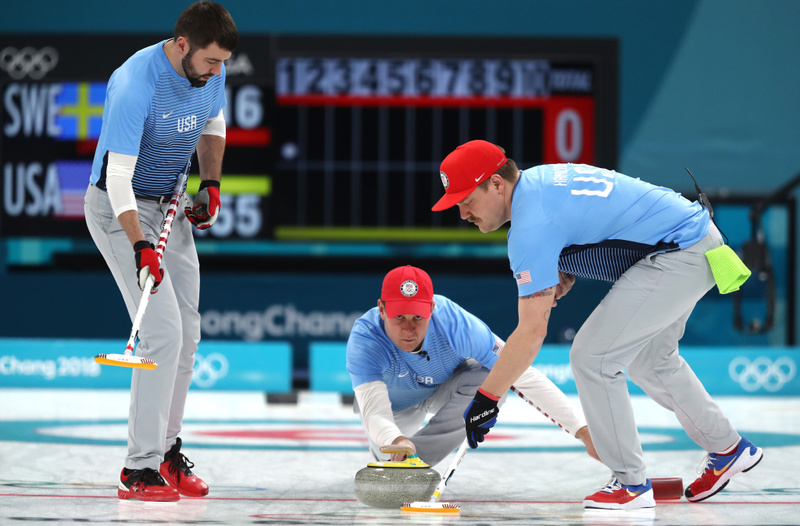 The U.S. win came after pressure and intensity had steadily built in what was for a long while a back-and-forth game, with each team's curlers placing their shots well. The Americans used a blockbuster eighth end to seize a 10-5 advantage that proved to be insurmountable. The two sides played perfunctorily from there, with the U.S. keeping the house clean of enough stones to be a threat. Sweden added two points in a quick ninth end to trail, 10-7. As the U.S. played defense and focused on preserving its lead, Sweden's skipper Niklas Edin took his last stone, whirled it around for a moment and gently flung it down the sheet of ice toward the other end, conceding defeat with grace. The game was remade when both teams had two stones left in the eighth end. The U.S. team had grouped its stones in the house, along with a lone Swedish piece. The Swedes called timeout to confer — and afterward, Edin delivered a stone that pushed a lone U.S. piece slightly aside — causing murmurs to break out among the Swedish fans. Out on the sheet, Edin hung his head. 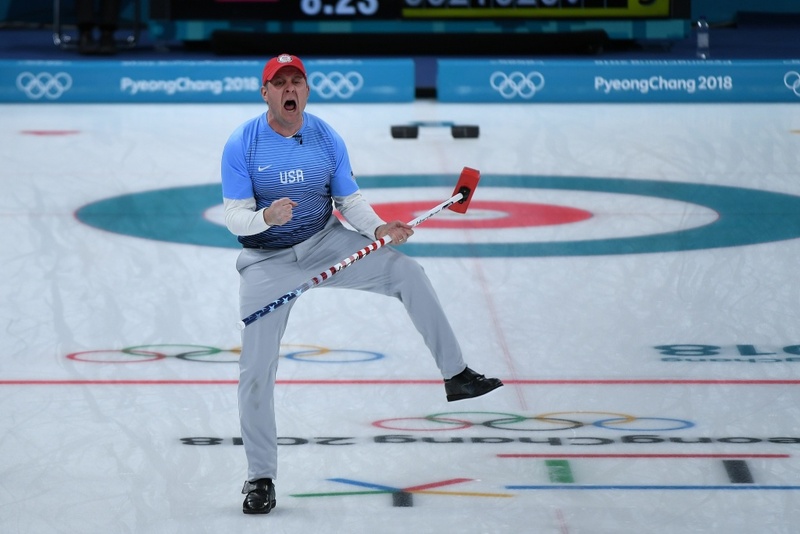 Shuster followed that with a perfectly delivered strike into the house that took out not one but both Swedish stones, giving the U.S. a total of five points in the end and setting off a celebration among the American fans, who throatily chanted "U-S-A! U-S-A!" As he came down the sheet after that delivery, Shuster could not stop grinning. 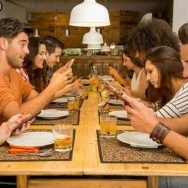 "I kept smiling and I'm usually the quiet one," Shuster said of . Referring to his teammate Matt Hamilton, he said, "I told Matt, 'I think it's a dream. I'll wake up tomorrow and this might not be real'. It's just fantastic." Sweden led after two ends — but then the U.S. tied it, 2-2, and took a 3-2 lead in the fourth end on a result that was so close it had to be measured by a special compass-like device. The Swedes responded with a 2-point end for a 4-3 lead midway through. In the fifth end, the Americans were able to leverage a stone between two Swedish stones, securing a close spot — and when the Swedes were unable to clear it, Shuster delivered a second scoring stone, taking the lead, 5-4. Another big moment came in the seventh, after Swedish skipper Niklas Edin tried to take out two U.S. stones in the house that were bracketing a Swedish piece. Edin's shot whizzed past, barely nudging his own stone and drawing a wide-eyed look from Sweden's leader. The Americans set up a block, but Edin managed to salvage a point to tie it. After a scoreless first end, things got more interesting in the second, with the teams leaving stones short of the house. That led to a more complex end — and when the U.S. missed a chance to clear Sweden's stones on a deflection, the Swedes capitalized by taking two points. Before that, the crowd had been oohing and aahing at each delivery, as the teams knocked their foe's stones out and left theirs close to the button. The game tightened in the third end, with Sweden building a position in the house — until Tyler George delivered a stone that knocked their two stones out. 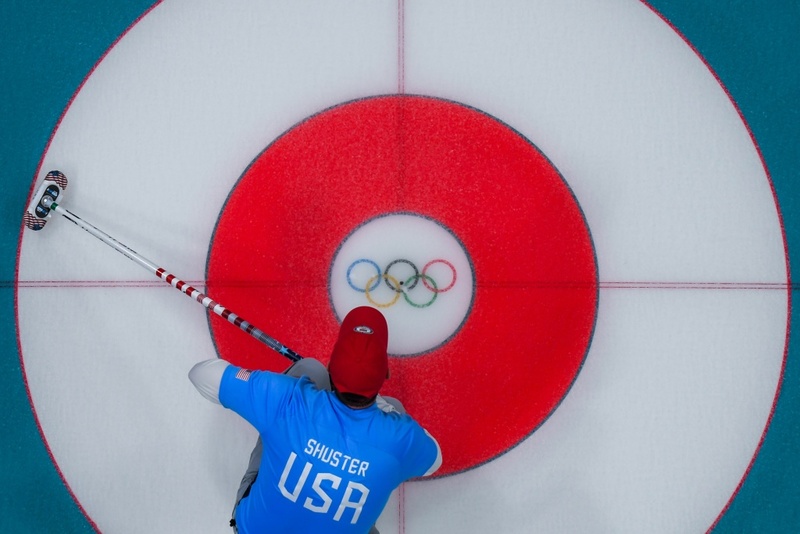 With the hammer stone, Shuster knocked two Swedish stones out of the house and left two of the Americans' stones in the target — tying the score, 2-2. In the fourth end, the U.S. struggled to get a scoring chance, with Sweden using a wall of interlaced stones to shelter a stone in the house. But after the Americans managed to situate two stones around the button, the Swedes couldn't clear both — and a ruling was called for. As the crowd waiting to learn who would get a point, an official measured the distance from Sweden's red stone to the center, then slowly spun his measuring stick around — and pointed at the yellow U.S. stone. 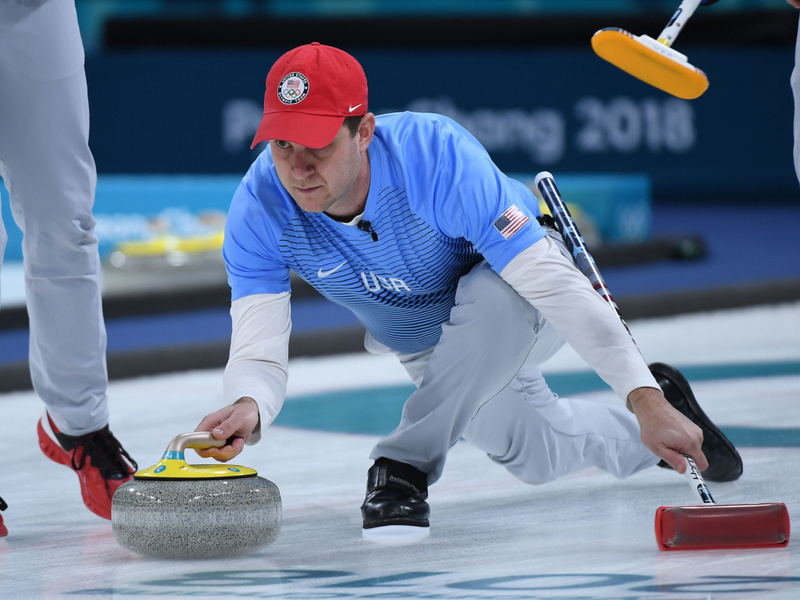 A possible pivotal moment came late in the fifth end, when Shuster delivered a stone that slid through the house, seemingly destined to kiss a Swedish stone and replace it in the house. But it skimmed harmlessly past. That assured the Swedes of one point, and Niklas Edin put a perfectly delivered stone through the area that stopped close — scoring two points. The game drew notable fans from both countries. 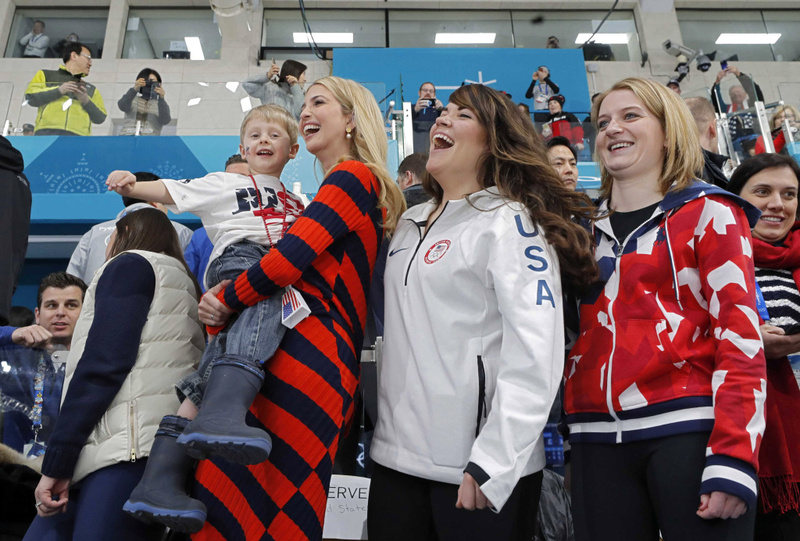 Shortly after play began, Ivanka Trump entered the curling center to watch. 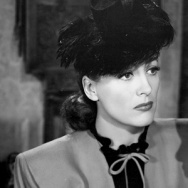 She sat in a center seat, four rows up from the railing. Across the aisle to her left sat Sweden's King Carl XVI Gustaf. When these two teams played early in the tournament, Sweden opened with four points in its first end and never looked back, beating the U.S. team 10-4. That game was called after eight ends, after Sweden put it out of reach. But that was a week ago; since then, the U.S. team has gained momentum and confidence as it knocked off strong opponents. Sweden and the U.S. took very different paths to get here. The Americans fought their way back into the playoffs after starting 2-4; the Swedes had lost only two games in Pyeongchang. The Americans reached the final by edging Canada in a close-fought 5-3 game that saw Canada edge forward – only to have the Americans, led by skipper John Shuster, claw them back. And late in the game, the U.S. team snagged two points that put them into the final. 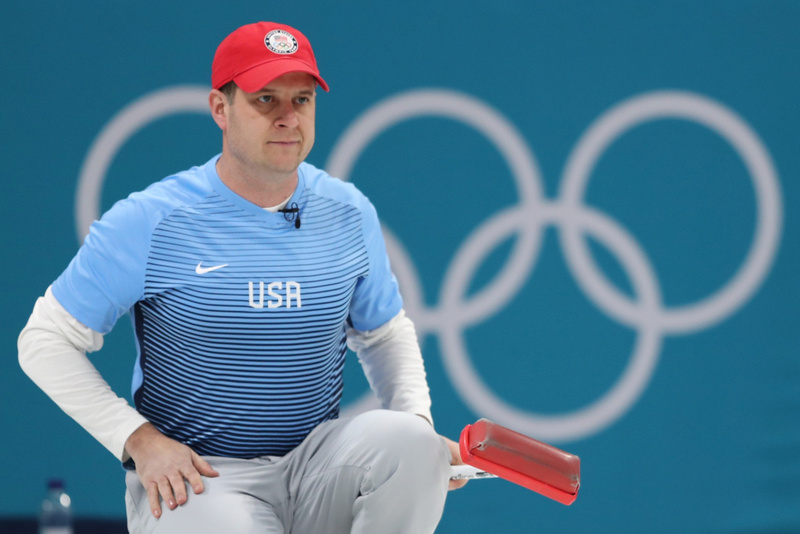 U.S. curling skipper John Shuster led the Americans to a 10-7 victory in their gold medal game against Sweden at the Pyeongchang 2018 Winter Olympics. The U.S. team is made up of Shuster, Tyler George, Matt Hamilton, John Landsteiner, with Joe Polo as the alternate. The Swedish team is led by Niklas Edin, along with Oskar Eridsson, Rasmus Wranaa, Christoffer Sundgren, and the alternate Henrik Leek. The Pyeongchang Games have been a terrific run for the Swedish national curling team — both the men's and women's squads got into the gold-medal finals this weekend. The Swedish men won bronze in the 2014 Sochi Olympics; they've never won gold. The women's final, between Sweden and South Korea, will be played on Sunday morning in South Korea – at 9 a.m., or 7 p.m. ET Saturday night in the U.S. This year's tournament in Pyeongchang comes on the 20th anniversary of curling's return as an official Olympic event, in 1998. It was part of the original slate of sports when the Winter Olympics began in 1924, but it was eliminated after only three nations entered. Sweden was one of them, winning silver. Games comprise 10 ends, with both teams delivering eight stones in each end. It's a huge advantage to deliver "the hammer" — the last stone of an end. Curling is played on a sheet of ice that's 150 feet long and nearly 16.5 feet wide. Each stone is a 42-pound (or up to 44-pound) chunk of granite selected from Ailsa Craig, an island in Scotland. The target area on the sheet is the house. The bullseye is called the button — and it's bisected by the center line and the tee line. The object is to finish an end with your stones closest to the button than the other team's. Each stone that's closer than the opponents' brings one point. Teams are called "rinks" — for the U.S., the John Shuster rink is in the final, for instance. The games often last 2-3 hours. Each team has four players and an alternate (who usually sits with the coach just off the playing area).